Justen Fischer is an associate in the Fort Lauderdale office of Lewis Brisbois and is a member of the General Liability and Complex Business & Commercial Litigation Practices. Mr. Fischer’s practice focuses on a wide range of civil litigation matters, including high exposure motor vehicle negligence, business litigation, admiralty & maritime, labor & employment, and first party property coverage. He has a record of achieving favorable results for clients through dispositive motion practice and alternative dispute resolution. 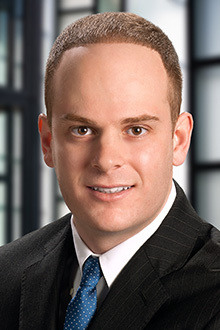 He has served as lead counsel in the arbitration of employment disputes and has counseled clients on matters involving breach of contract and Florida sales/use tax liability in connection with high value equipment purchases. Mr. Fischer obtained his law degree from Nova Southeastern Shepard Broad College of Law, where he proudly serves as a mentor in the law school’s Florida Bar Auxiliary Program. Prior to joining Lewis Brisbois as an associate, Mr. Fischer participated in the firm’s internship program where he gained valuable litigation experience in the areas of medical malpractice and commercial litigation.